Kumarappa was born in a devout Christian family on January 4, 1892 and named Joseph Chelladurai Cornelius. He was the sixth child of Mr. Solomon Doraisamy, an officer in the Public Works Department of Government of Madras and Mrs. Easther Rajanayagam, a pious housewife, at Tanjore in Tamil Nadu. Mrs. Easther hailed from an educated and well-known family of poet Vedanayagam Sastriar. Kumarappa had his basic education in Madras and left for London in 1912 for Chartered Accountancy course (F.S.A.A.). There he continued to work for London Banks and British Auditors' firms. In 1919 he returned to India and worked in Bombay with British Firms again and later set up his own firm of auditors called `Cornelius & Davar`. Many of his clients were European and Parsi firms. Besides, he was Vice-Principal and part-time Professor of Davar's College of Commerce. Again, in 1928 he went to the United States and did his B.Sc. in Business Administration at Syracuse and M.A. in Economics at Columbia University under Prof. Dr. Seligman. His thesis, "Public Finance and our (Indian) Poverty" changed him from an European loyalist to a committed Indian nationalist. He returned to India in 1929 to continue his auditing work. In the meantime, he was looking for a chance to publish the story of how the British were exploiting India through their taxation policy. While negotiating with a few publishers, one of his friends told him of Gandhiji and that, he would be greatly interested in the subject. He was urged to submit the manuscript to Gandhiji first. He finally succeeded with the help of Mr. Pyarelal and an appointment was fixed to meet Gandhiji at Sabarmathi Ashram on May 9, 1929 at 2.30 p.m. The historical meeting took place and Gandhi ji told him that he was interested in the essay and proposed to publish it in the series of his journal, 'Young India'. Then Kumarappa was requested to undertake a rural survey for Gandhi ji at a village in Gujarat, as he found that the approach he had to economics was almost similar to his. After a few hurdles, he could do it admirably. The survey became a classic, under the title, 'A Survey of Matar Taluka in Kheda District'. He was appointed as Professor of Gujarat Vidyapith, a National University, at the recommendation of Gandhiji. In the meantime, he gave up his plans of auditors firm and marriage and remained a bachelor until the end his life. Before Gandhiji started off Dandy March in 1931, he encouraged Kumarappa to write regularly for Young India and informed him that he would be its editor after his imprisonment. Thus Kumarappa became editor of Young India and his continual fiery writings gave him one and a half years' of rigorous imprisonment in 1931 but fortunately he was released after a couple of days, because of Gandhi - Irwin Pact. The India National Congress in Karachi appointed a Selection Committee to go into the details of the financial obligations of Great Britain, based on Kumarappa's thesis work and he was made the convener of the committee. The repercussion of the report on the financial markets was so great that it affected the London market adversely, at the time of its publication. Once again, Kumarappa was forced to take up the editorship of Young India from Gandhiji in 1932. His vigorous articles sent him to jail. He was released after two and a half years in Nasik Prison, in 1934. Soon he was called by Gandhiji to help one of the biggest relief operations after Bihar earthquake. He was put in charge of accounts in helping Dr. Rajendar Prasad for almost a year. In 1935, the India National Congress formed the All India Village Industries Association (AIVIA) for the development of rural economy of the country with Gandhiji as President and Kumarappa as Secretary and Organiser. Between 1935-39, Kumarappa established the AIVIA headquarters at Maganwadi, developed various experiments of rural technologies, and helped others to reorganise village industries all over the country. There he edited a monthly journal, ''Gram Udyog Patrika" and wrote a book, '' Why the village movement?'' for AIVIA. Besides, he undertook economic surveys of the states of 'C.P. and BERAR' and ' North-West Frontier Province', which were greatly appreciated by economists. When the National Planning Committee was formed in 1938 by Subhas Chandra Bose, with Jawaharlal Nehru as Chairman, Kumarappa was requested to serve as the member of the committee. Owing to Gandhiji and Nehru's insistence, he served for 3 months and resigned from the Committee, since the whole approach of the Committee was very different from his approach, i.e. decentralised participatory planning. At the outset of Word War II, the British imperialist rule was at its highest. Provisional Congress ministries were dismissed and poor agriculturists were heavily burdened. Therefore Kumarappa wrote, ''Stone for Bread" an article in 1942, for which he was under detention and trial for a year and a half in both Bombay and Nagpur. Again, during the Quit India Movement, he had a hand in the underground activities in Bombay along with his Congress colleagues. These secret sabotage activities led to his arrest. Finally, he was sentenced to two and a half years of rigorous imprisonment for three charges and sent to Jabalpur Central Jail until 1945. He wrote two books during his imprisonment, 'Economy of Permanence' and Practice and Precepts of Jesus, which were considered to be splendid, work in those days. Like Antonio Gramsci's 'Prison Diary' Kumarappa's work had great importance in universal value. Since Gandhiji found universal value in those two books, in his capacity as the Chancellor of the National University, he conferred on him Doctor of Village Industries (DVI) and Doctor of Divinity (DD) respectively. However, after his release from the prison, his health completely broke down and he took rest at the guesthouse of Leonard Theological College, Jabalpur. He joined the delegation nominated by Government of India, in July 1947 to help India's economic interest in maritime transport, at the meeting of shippers in London. He made use of the opportunity to see the devastation of Europe after the Word War II. A couple of weeks later, he continued to crusade against the Indian policies, which were against the interest of the rural economy, through his speeches and writings throughout India. He was also a prominent figure in Congress affairs. He was given a chance to be a member of the All India Congress Working Committee in place of Jay Prakash Narayan, early in 1947; he rejected the offer in spite of Gandhiji's persuasion. After the Independence, he was not interested in power politics but made efforts to draw out a consensus plan of action on the economic policy of the Congress among the leftists and the rightists. Gandhiji himself appreciated the plan report of Kumarappa when it was presented to him by Nehru in Nov. 1947. However, all efforts of Kumarappa were consciously buried by Nehru after the death of Gandhiji. Towards the end of 1947, Agrarian Reform Committee was formed by AICC with Kumarappa as chairperson and he travelled all over the country for two years. The committee gave the final report in July 1949 advocating very important recommendations on management of land and agriculture. In continuation of his active participation in the War Resisters' International meet at Shrewburgh, English, the next Pacifists Conferences were held in India at both Shantiniketan (1949) and Sewagram (1950) respectively. There he took a major role in criticising Western Pacifist movements. Then he was deputed to represent Sarva Sangh at the Indian Planning Commission Advisory Body, where he had strong arguments for people with power and decentralisation. Later he was deputed by the Government of India to China as a member of the goodwill delegation to attend its Independence Day celebration in October 1951. Soon after that trip, the Indian Government once again deputed him to Japan to study the work being done in field of village industries and reconstruction. At last, he decided to quit from AIVIA campus once for all in 1952, to experience living in a mud hut in one of the Dalit villages of Gujarat, Seldoh. There he started Pannai (agrarian) Ashram and lived till 1955. During this period, he visited Eastern Europe and USSR four times and studied their economics with a fresh outlook. He appreciated their achievements very much but yet wanted a non-violent sort of alternative in India, with different types of revolution. Due to heavy strain on his body, hypertension developed and he was medically advised to give up all responsibilities and shift to a more calmer place and milder climate. In the meantime, in November 1953, he went to Ceylon to undergo Ayurvedic treatment and returned to India, shortly after that he chose Gandhi Niketan Ashram at T.Kallupatti (Madurai) to be his headquarters from May 1955. Vinoba, Rajendra Prasad, Ariyanayagam, Bharatan Kumarappa and S.K. Dey called on him in that ashram. He had done all writing works along with ashram works. He turned the ashram into a registered organisation and he became the first chairperson of the ashram. His health slowly deteriorated and so he had to shuttle from hospital to home many times. He was finally admitted to the Government General Hospital in Madras. People of national importance like Rajendra Prasad, Jawaharlal Nehru, Rajaji, Kamaraj and C. Subramanyan frequently visited him. He breathed his last on the same Day, 30 January 1960-which his guru had departed from the earth. One day in 1929, a man came to meet Gandhi ji at the Sabarmati Ashram. Could he show Gandhi his Ph. D thesis! It contained a different idea of economics. Gandhi read the thesis and was amazed. Here was a man who thought exactly like him. Humans are not merely wealth-producing animals. They were members of society with political, social, moral and spiritual responsibilities. Gandhi immediately asked this man to join him in his efforts to develop a new way of thinking and doing economics. In a book called Economy of Permanence: A Quest for Social Order Based on Non-Violence, Kumarappa sets down his ideas on economics. In nature, creatures co-exist in such a way that each fulfilled its necessary role. "In this way, nature enlists the co-operation of all its units, each working for itself and in the process helping other units to get along their own too. When this works out harmoniously and violence does not break the chain, we have an economy of permanence. "In an economy of permanence, everybody helped each other out. In contrast, there was the economy of transience, in which everyone tried to do well only for him/herself. An economy of transience was violent; it chewed up nature. Kumarappa's favourite example for this was the way pesticides and chemical fertilisers were used to produce crops in ever increasing amounts. Sure, the crops got produced, but after a while the soil got spoilt: no more lush green fields. An economy of permanence, on the other hand, did not destroy nature. 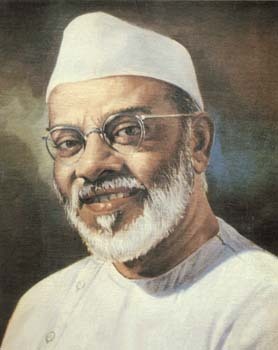 Kumarappa died in 1960. For a long time, everyone forgot him. But today, as we talk of sustainable development, we realise that it means exactly what Kumarappa had called an economy of permanence. Can we learn, for our own good, from Kumarappa all over again? 2. Why the Village Movement; Sarva Seva Sangh Prakashan, Rajghat, Varanasi 221001,1958, pages: 203. 3. Cow in Our Economy; Sarva Seva Sangh Prakashan, Rajghat, Varanasi 221001, 1963, pages: 76. 4. Gandhian Economic Thought; Sarva Seva Sangh Prakashan, Rajghat, Varanasi 221001, 1962, pages: 94. 5. Swaraj for the Masses; Hind Kitab Ltd. Bombay; 1948, pages: 104. 6. Europe Through Gandhian Eyes; Maganwadi, Wardha; 1948, pages: 29. 7. Peace and Prosperity; Maganwadi, Wardha, 1948, pages: 37. 8. Lessons from Europe; Sarva Seva Sangh Prakashan, Wardha, 1954, pages: 49. 9. An Economic Survey of Matar Taluka; Gujarat Vidhyapeeth; 1952, pages: 155. 10. Present Economic Situation; Maganwadi, Wardha; 1949, pages: 151. 11. Public Finance and Our Poverty; Navajivan, Ahmedabad; 1930, pages: 110. 12. Swadeshi; Sindhu Publication; 1992, pages: 32. 13. Grinding of Cereals; Maganwadi, Wardha; 1947, pages: 15. 14. Village Industries; Maganwadi, Wardha; 1947, pages: 72. 15. Clive to Keynes; Navajivan, Ahmedabad; 1947, pages: 44. 16. Christianity: Its Economy and Way of Life; Navajivan, Ahmedabad; 1945, pages: 124. 17. Economy of Permanence Part II; Maganwadi, Wardha; 1948, pages: 87. 18. The Gandhian Economy and Other Essays; Maganwadi, Wardha; 1949, pages: 120. 19. Stone Walls and Iron Bars; Maganwadi, Wardha; 1949, pages: 21. 1. The Gandhian Crusader - a Biography of Dr. J.C. Kumarappa; M.Vinaik; Gandhi Gram Trust, Gandhigram - 624 302; 1987, pages: 214. 2. Kumarappa Meet - III; Maganwadi, Wardha, pages: 28. 3. The All India Village Industries Association Report; Maganwadi, Wardha, 1950 pages: 81. 4. The Economic Backgound, J.C Kumarappa and others; Oxford University Press, 1942 pages: 64. 5. Village Planning; All India Khadi and Village Industries Board; 1954, pages: 41. 6. Paper Making; K.B. Joshi, Maganwadi, Wardha, 1947, pages: 226. 7. J.C Kumarappa: A Current Perspective; 1992, pages: 12. 8. Kumarappa Centenary Souvenir; J.C. Kumarappa Birth Centenary Committee, Karnataka; 1992, pages: 91. 9. Gandhi Marg - Articles on J.C. Kumarappa; Gandhi Peace Foundation, New Delhi; September, 1992, pages: 412. 10. The Economics of Peace - The Cause and the Man (J.C. Kumarappa) by S.K George and G. Ramchandran; Maganwadi, Wardha, 1952, pages: 378. 11. Religion and Eco-Economics of Dr. J.C. Kumarappa - Gandhism Redefined; by Solomon Victus; Other India Bookstore; Goa; 2003, pages: . 12. Capitalism, Socialism or Villagism? ; Sarva Seva Sangh Prakashan, Rajghat,Varanasi 221001, by Dr. Bharatan Kumarappa; pages: 236.